This article needs to be updated with material from Combat Manual: Kurita and Second Succession War (Sourcebook). Once this title clears the Moratorium period, or if it already has, please consider revisiting this article and updating it with the new material, removing this tag once all information has been added. 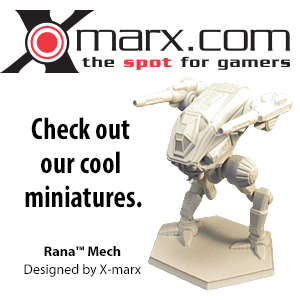 Versatile and powerful, the BattleMaster was one of the best known BattleMechs in existence. Hollis Industries began production in 2633, originally designing it to be the largest and most powerful 'Mech for the Star League armies at that time. Indeed the sheer size of the BattleMaster, combined with the costs and resources needed to build one, meant the 'Mech could only be manufactured on a few planets. Still, those lucky enough to pilot a BattleMaster can attest to some of the stories surrounding the 'Mech. With good reliability, firepower and armoring, the BattleMaster is equally adept anchoring an assault lance or serving as a command vehicle. Although only produced in modest numbers, examples of the BattleMaster could be found in the arsenals of all the Great Houses and technicians have gone to great lengths in order to repair one. During the First Succession War Hollis' BattleMaster factories on Corey were attacked, their production lines destroyed and any finished BattleMasters purloined by the various House forces. While production of new BattleMasters was taken up by Earthwerks Incorporated on Keystone, Trellshire Heavy Industries on Twycross, and Red Devil Industries on Pandora, they could build only a handful of new 'Mechs every year. This was enough though to make House Steiner and House Marik the largest users of BattleMasters during the Succession Wars. House Liao also fielded a large number of BattleMasters, at least until the devastation of the Fourth Succession War when many fell into the hands of the Federated Suns, themselves lacking any BattleMaster factories. By fortuitous accident the Draconis Combine also came into possession of a large number of BattleMasters when a hapless ComStar Precentor, intending to ship unmodified versions of advanced BattleMasters to Com Guard units, sent them to the Combine instead. These BattleMasters served as excellent command vehicles during the War of 3039. New models of the BattleMaster would be introduced in time to take part in the Clan Invasion. 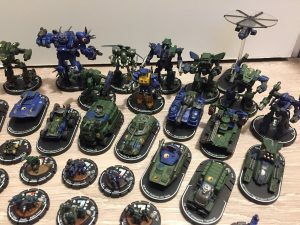 Although the manufacture of new BattleMasters was disrupted when Twycross fell to Clan Jade Falcon, the recapture of that world allowed for a brief resumption of production. While Pandora did not fall during the Invasion an effort was made to relocate its BattleMaster factory, but the haphazard nature of the factory and feet-dragging by the planet's corrupt nobility delayed this effort. It wasn't until 3061 that the Red Devil factory was finally ready to be closed when the nobility's lobbying paid off and instead funds were allocated by Archon Katherine Steiner-Davion to refurbish the factory. As part of the arrangement a deal was struck with J.B. BattleMechs Incorporated to produce a new variant, the BLR-4S. Initial units were built starting in 3062 but the FedCom Civil War would delay full-scale production until 3064, by which time the second Jade Falcon Incursion captured the planet and put these new BattleMasters to work in their second-line units. This left the hard-pressed J.B. BattleMechs' factory on Storfors to build the BLR-4S for the Lyran Alliance, while the Free Worlds League and Combine would come out with their own variants. The BattleMaster carries a formidable array of weaponry, the primary of which is a Donal PPC in its right arm. For close range combat, the 'Mech is armed with six Martell Medium Lasers, which gave the 'Mech the ability to unleash a devastating barrage of lasers at short to medium ranges. Four of these are split between the left and right torsos facing forward while the other two are backward-facing, giving it protection against 'Mechs attempting to attack its rear. This short-range firepower is further enhanced with a Holly SRM-6 and two tons of ammo in its left torso. Finally, the BattleMaster is equipped with two Sperry Browning Machine Guns, both in its left arm fed by a one-ton ammo bin in the left torso, which deterred infantry attacks. The BattleMaster is also adept at defending itself in close combat, including disengaging its PPC in an emergency for when it needs both hands. Fourteen and a half tons of armor have given it excellent protection from attacks and its 340 VOX fusion engine provide a cruising speed of 42.3 kph. This rare Star League era command version of the BattleMaster mounted a Command Console and was equipped with Double Heat Sinks in place of the machine guns. House Kurita received at least one such vehicle from ComStar in full working condition, unmodified and without downgrades, and it served as Theodore Kurita's command vehicle (piloted by Fuhito Tetsuhara) on Exeter in the War of 3039. BV (1.0) = ? ?, BV (2.0) = ?? Produced by the Federated Suns during the Star League era, this variant drops the machine guns and ammunition while all the forward firing medium lasers are replaced by Medium Pulse Lasers. Sixteen double heat sinks keep the 'Mech cool. Developed on Keystone, this variant is a command model supplementing the BLR-5M that uses a Thunderbolt launcher and Heavy PPC to provide its main firepower. This variant is a production version of the BattleMaster Red Corsair, and is used by the Wolf Empire. This Star League era variant removes two of the forward-facing medium lasers, both machine guns, the SRM launcher and their ammunition. In place of the SRM launcher are three Streak SRM-2 launchers with a single ton of ammunition with an extra PPC mounted in the left arm. Sixteen double heat sinks keep the 'Mech cool, and the 'Mech's armor is upgraded to Ferro-Fibrous armor. An extra half ton of armor is also installed. Warlord - Produced in a new GM facility on El Dorado, the BLR-2G Warlord is an industrially streamlined, all-energy weapon variation of the venerable BLR-1G BattleMaster introduced during the Jihad. Prior to rising to leadership of their respective nations, both Hanse Davion and Takashi Kurita favored the BattleMaster. Nekane Hazen used a custom modified Royal BLR-1G BattleMaster during her raids as the "Red Corsair". Wayne Waco, commander of Waco Rangers, piloted a BattleMaster throughout his career and during his final duel with Jaime Wolf. Jackson Davion, Marshal of the Armies, piloted a BattleMaster during the Word of Blake's siege on New Avalon, and was piloting that machine when he was killed. The BattleMaster was once one of the iconic BattleMechs of early BattleTech. However, the 'Mech's image was removed from all publications due to a dispute regarding copyright, becoming "unseen". BattleTech now features the BattleMaster prominently again, gracing the covers of Total Warfare, TechManual, and the Classic BattleTech Introductory Box Set, due to a retcon of the artwork. ↑ BattleMech Manual, p. 90 Battlemech Quirk Table - BattleMaster Entry.